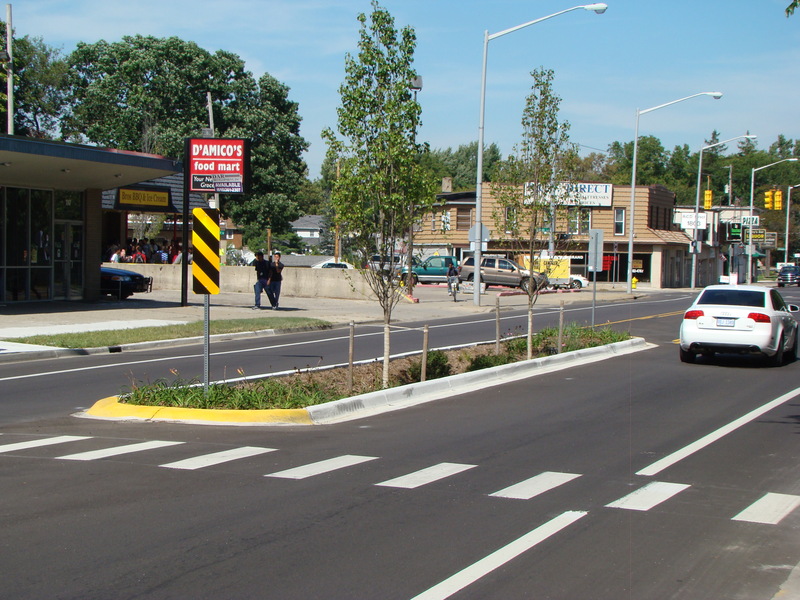 Michigan Department of Transportation’s $1.81 million Creston North-Quarter Keystone project promoted economic development and improved pedestrian safety. Completed more than $100,000 under budget, the new stretch of Plainfield Avenue in Grand Rapids provides a pedestrian-friendly road that enhances traffic to local businesses and encourages children to walk and bike to school. MDOT worked with local officials to promote bike-to-school programs, as well as establishing a complete street policy.